This beautiful old car, affectionately called Bex, is a 1930 Chrysler model 66 Sedan. She was New Zealand new and sold by Williams and Kettle the Stock and Station company in Napier in 1930. Bex survived the Napier earthquake in 1931 and has lived her life in the Hawkes Bay owned by one family from 1936 to 2015. 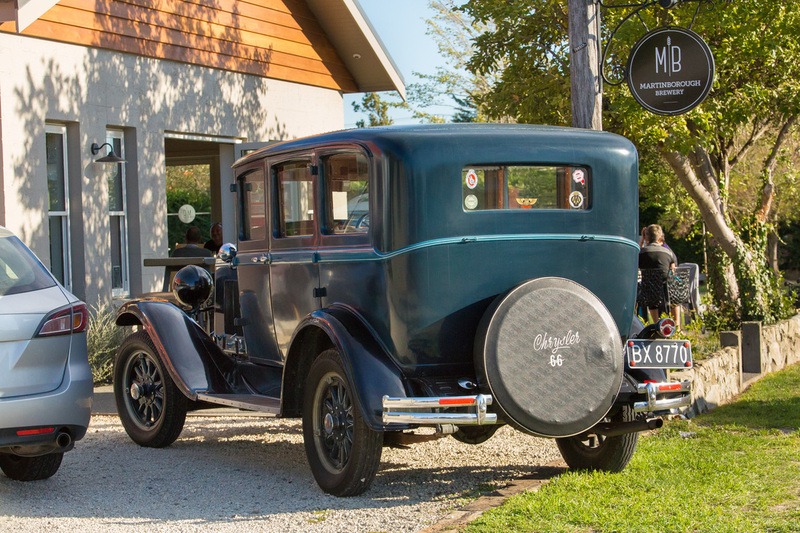 Bex is an original car now living in Martinborough and spends her time sharing experiences with people, allowing them to step back into a past error when cars were more than just a means of transport. Bex now takes bridal parties to their wedding venue, people around the vineyards and to other special events throughout the Wairarapa. Let Bex be part of your next special event and add a further memorable experience. Powering this beautiful Chrysler sedan is a peppy 196 cubic inch inline Flathead 6-cylinder engine with a 3-speed manual transmission. 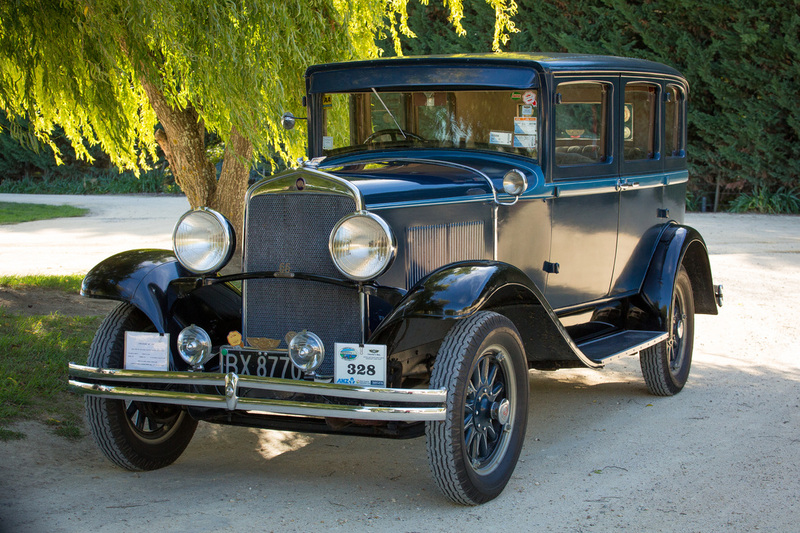 With tall skinny tires and factory hydraulic brakes, this 1930 Chrysler is a breeze to stop and steer. The various brass fittings and pot-metal fixtures show how cars were built when manufacturers strove for pure luxury. The Vin plate was even inscribed so nicely, that it adorns the center of the dash. Most would mistaken it as nothing but an intricate interior knick-knack or decoration. The interior is nostalgic and plush. The front bench houses plenty of room for you and another, while the rear seat has a luxurious amount of leg room. The reversible foot rest bar is ready for both your tallest and shortest family members and friends! This Chrysler is purely a gem and is a car that turns heads and drops jaws wherever she goes. 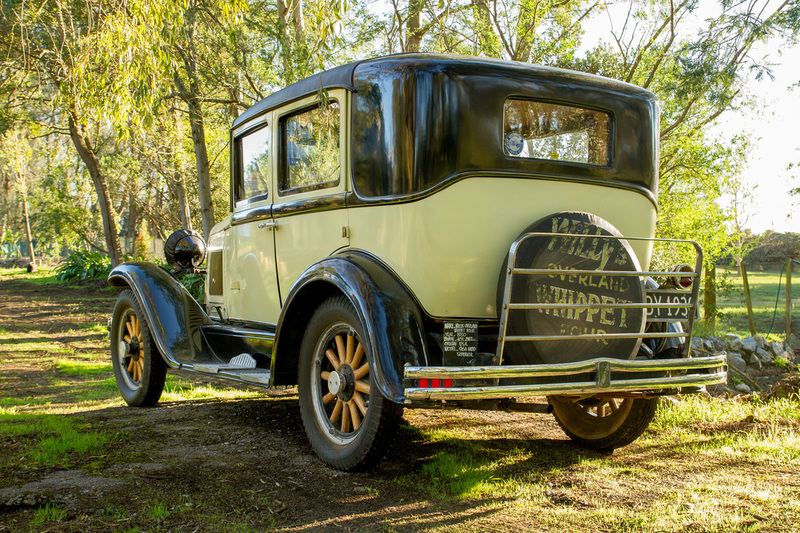 This beautiful old car lady, named Ivana because we wanted to have it immediately when we first saw her, is a 1930 Willy's Overland Whippet model 96A Sedan. Memories of the mischief and allure of Ivana Whippet from Austin Powers also added to our decision on her name. She was New Zealand new and sold by a Tourism Motor Company the Napier in 1930. Ivana survived the Napier earthquake in 1931 although took a glancing blow from a power pole of the rear left side which was repaired at the time. The car was owned by a grocer and then his daughter before being parked in a shed in the 1940's until it was purchased and restored in the early 1960's. The car has been back on the road for the past 50+ years. ​Probably a feature since our purchase of Ivana in 2004 was the inclusion of Ivana in the King Kong movie remake in 2005. 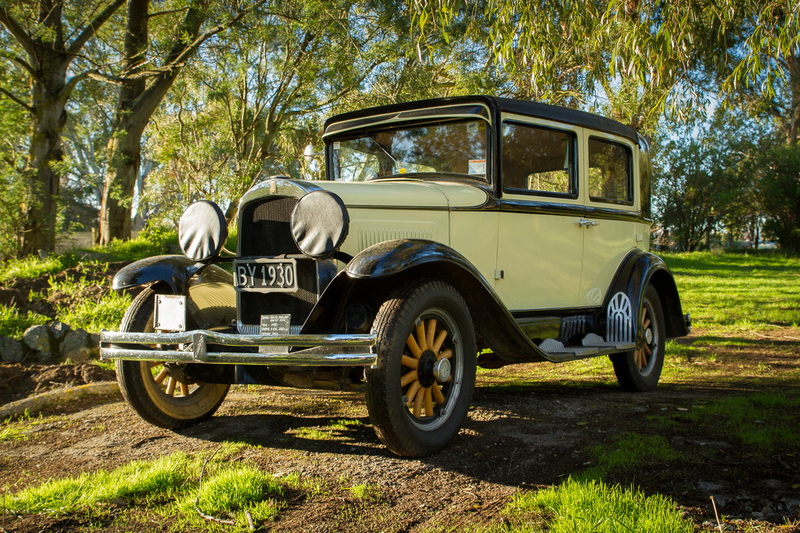 This car has been driven extensively through New Zealand and back to Napier for Art Deco Weekends. This yellow and black car now lives in Martinborough and spends her time sharing experiences with people, allowing them a step back into the past time. Ivana now takes bridal parties to the wedding venue, people around the vineyards and to other special events throughout the Wairarapa. Let Ivana be part of your next special event and add a further memorable experience. ​This 4 door saloon (sedan) type body has a front mounted engine with driving through the rear wheels. It's powered courtesy of a naturally aspirated engine of 2.4 litre capacity. This power plant features side valve gear, 4 cylinder layout, and 2 valves per cylinder. It develops 40 bhp (40.6 PS/29.8 kW) of power at 3200 rpm.The engine delivers its power through to the wheels via a 3 speed manual gearbox. 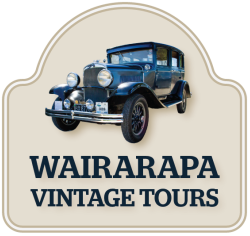 Your Wairarapa Vintage Tour experience awaits.